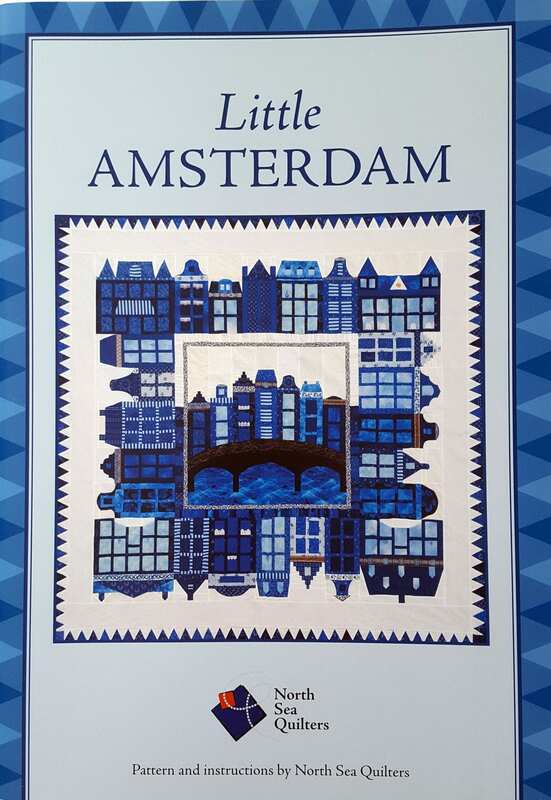 "Little Amsterdam" quilt pattern book featuring fun, easy-to-make Dutch houses with 24 different roofs. This is the book written by the North Sea Quilters, a collaboration between Marybeth Thomas Tawfik, Maria Laza and Leslie Carol Taylor in 2007. The original quilt was inspired by the unique and very distinctive architecture found on every street in the Netherlands, where all three of us were living at the time. The original quilt won First Prize for Longarm Quilting in the European Open Quilt Championships in 2006. The book is 48 pages, with all instructions and templates for the regular houses, corner houses, and bridge houses. Many roofs have instructions for both applique and fused options. The patterns are in-depth and well illustrated. Perfect for a confident beginner and beyond! Fun as a quilt, or a pillow, or place mats, or a tote bag ... the possibilities are endless. Great for all fabrics, most houses use fat quarters. This is a great stash-buster. Fabric suggestions are included along with all fabric requirements. The quilt finishes at 73 x 73 inches. Great pattern book, received very quickly, much appreciated!